The following story is from the original manuscript of Thirteen Months and is true, but for the sake of making room for other stories my publisher edited it out … for obvious reasons. Although there are many bugs more disgusting than crickets, there aren’t many as noisy. 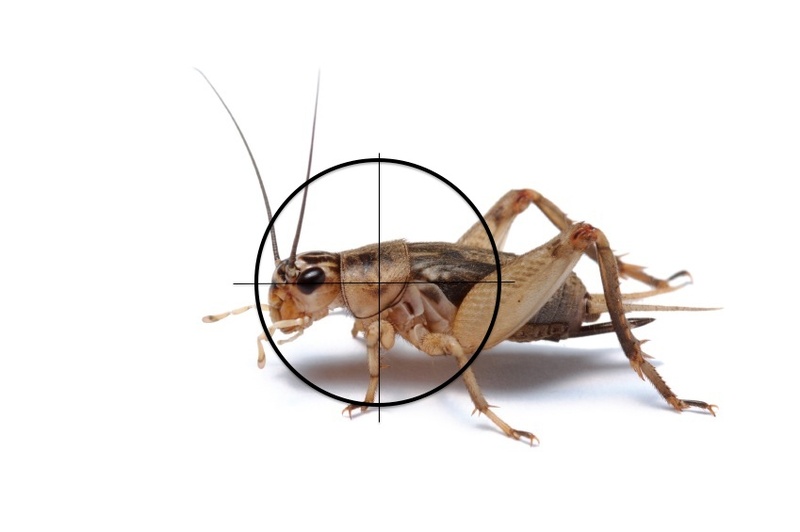 Have you ever shot a cricket? Probably not, but think about it for a moment. A cricket chirps from a place just beyond reach and mocks you as it does. One time many years ago when we lived in Texas, we had a pesky cricket problem. They seemed to enjoy crawling into our air vents and chirping their tiny hearts out. We were awakened one night to several of them, relentlessly squeaking in the attic. They wouldn’t hush, and Gwen was trying to sleep, so I did what any husband would do—I went up after them. They seemed to know how to remain just out of reach, so I got my gun and headed in their direction. As I made my way along a narrow board, I spotted two of them standing on a distant beam in the tight angle of the roofline. They looked at me mockingly, chirping and squeaking their tiny brains out. So—I raised my .22 cal pistol, took aim at offender number one, and … eliminated him. Cricket number two now stood in shock and disbelief that I would do such a thing (I did warn them both prior to making my move) with a look of stunned amazement, mixed with the disgust of having the little cricket legs of his buddy now stuck on the beam beside him. I promise you I would have let the little stinker walk away, had he not suddenly regained his resolve, looked me straight in the eye, and begun to rosin his little legs in defiance. Before he could make a sound, I made one of my own (Boom!) … followed by sweet silence. I proudly replied, “Of course not. You heard two shots, that would be two crickets,” as I unloaded the remaining rounds from the clip and locked the gun away. I expected a hero’s welcome, but instead she looked at me in amazement, with her mouth open just a little as she stared at me. Now she was smiling—and next came the giggle as she shook her head. I live for her giggle. Feel free to leave a Comment below … if you dare. This blog is now compatible with iPads and Smartphones.